Set of 2 Pashima Scarves Only $9.99 Shipped! You are here: Home / Great Deals / Set of 2 Pashima Scarves Only $9.99 Shipped! BRRR!!! 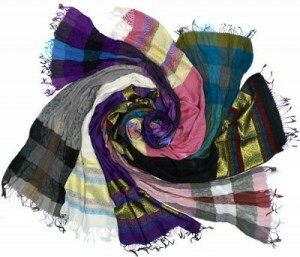 It’s cold outside and this Set of 2 Pashina Scarves Only $9.99 Shipped is a great deal! This is perfect for Valentine’s Day Gifts! And an awesome deal to stock up for fashion and warmth in the frigid temps! Grab this and other great deals on 13 Deals every day! Tons of items with FREE Shipping!